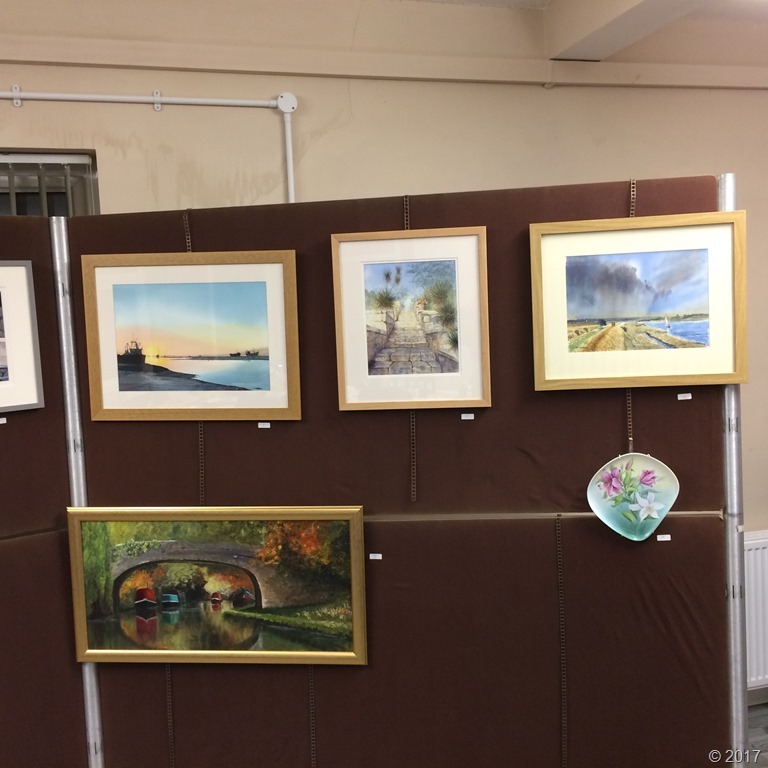 Well I hope all those that attended the Rayleigh Art Group Christmas party last night enjoyed the evening as much as we did. There was a pleasant buzz the whole evening as members and their guests caught up with old friends and enjoyed a plate or two of food and a complimentary drink. 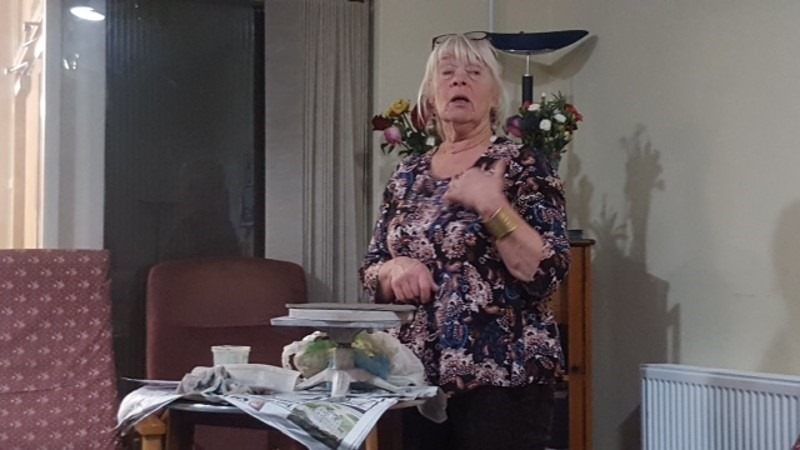 We were very lucky to have Sandra Hall come along and give us a demonstration on clay crafting, a slightly difficult task for her as the hall was extremely hot and the clay was drying very quickly. However, she was brilliant and very informative about the clay, how to use it, fire it, glaze it and then in her case hopefully sell it. 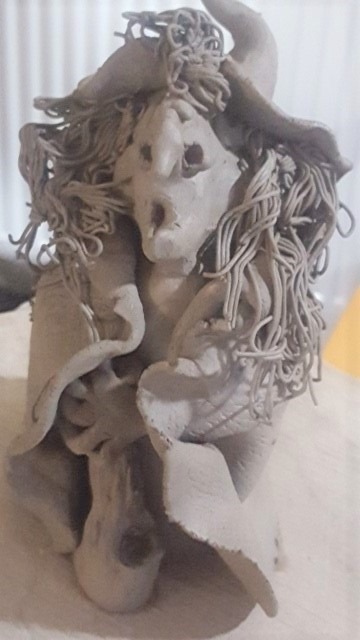 Sandra made a witch, quite quickly really although she said she had pre-rolled the clay to enable her to complete the subject in the evening. It was going to have to dry out and then be fired in the kiln when she had enough other pieces of a similar size to fill the kiln. It is fired for about 8 hours in her new kiln and then cooled and glazed and then fired again for a similar amount of time. It would be lovely to see the finished article but I am sure it will snapped up at a craft fair in the Spring. We had a couple of table quizzes provided by Annabel, I think we all pondered over them for most of the evening. Obviously some of us are chocoholics and new many of the answers to one set of questions. It was lovely to see our new Chairman, Colin Mossman, at the party. He has had a back operation recently and as we could see, is making a speedy recovery . Our competition this year for the Reg Whiting Award was ‘A Question of Sport’. There were 11 entries this year so not as many as last year so maybe some of you couldn’t get your heads around the title. 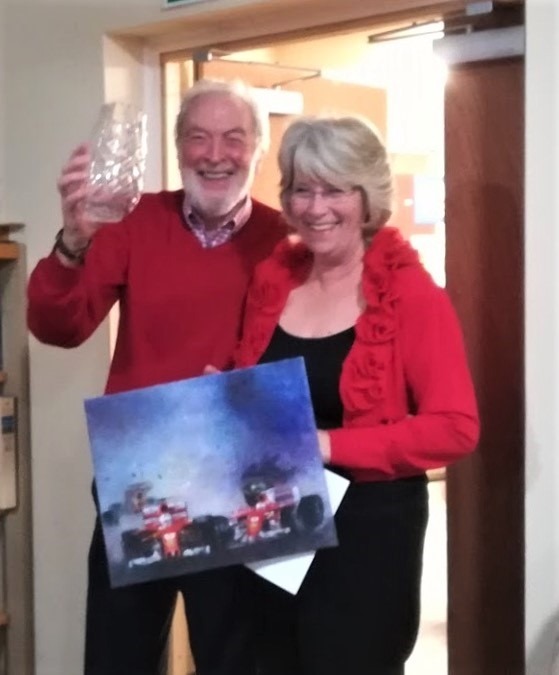 Cathy Newton won with a picture of racing cars in action and Runner up was by Annabel Hearn of a swimming pool. We wish you all a very Merry Christmas and a Happy New Year and hope to see some of you in January at the workshop and then many others at the first Demonstration on 14th February, there is a change to the demonstrator as Malcolm Perry is coming to us. Over 18 – Cathy Newton 1st; Anna Tobey 2nd and Ken Marjoram a new member 3rd. Can you believe that yet another year has come around and we have now hosted the 2017’s ‘At Home’? As usual we held this social evening in The Todman Centre in Castle Road, a lovely venue with plenty of room, seating and kitchen area for all the naughty but nice food that is brought in by everyone. Unfortunately not supported by as many members as in the past few years but enough of us to have a really good social chatty evening nevertheless. 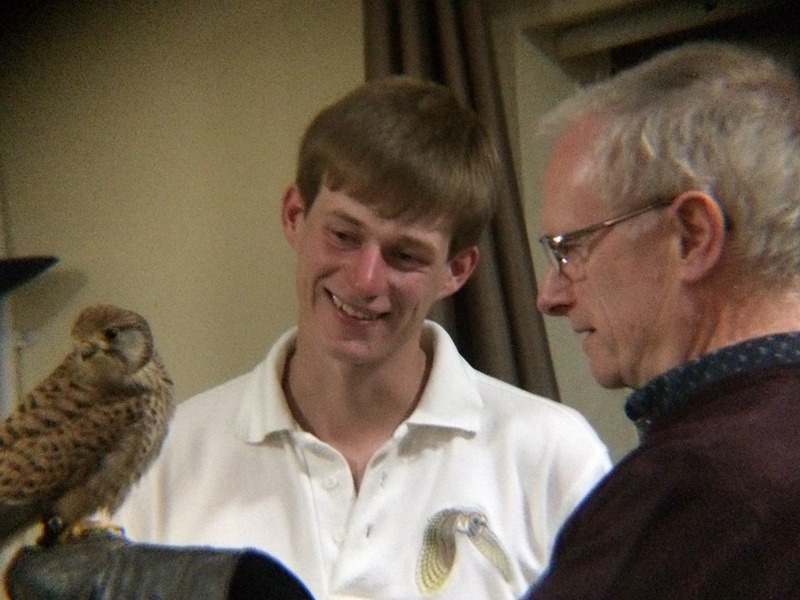 We had a very nice young man called Liam come along to our group and give us a talk on birds of prey. He brought with him three birds, all of which he got out in turn to show us and talk about each and every one of them. The information he gave us was all very interesting and going back as far as Henry Vlll’s time. 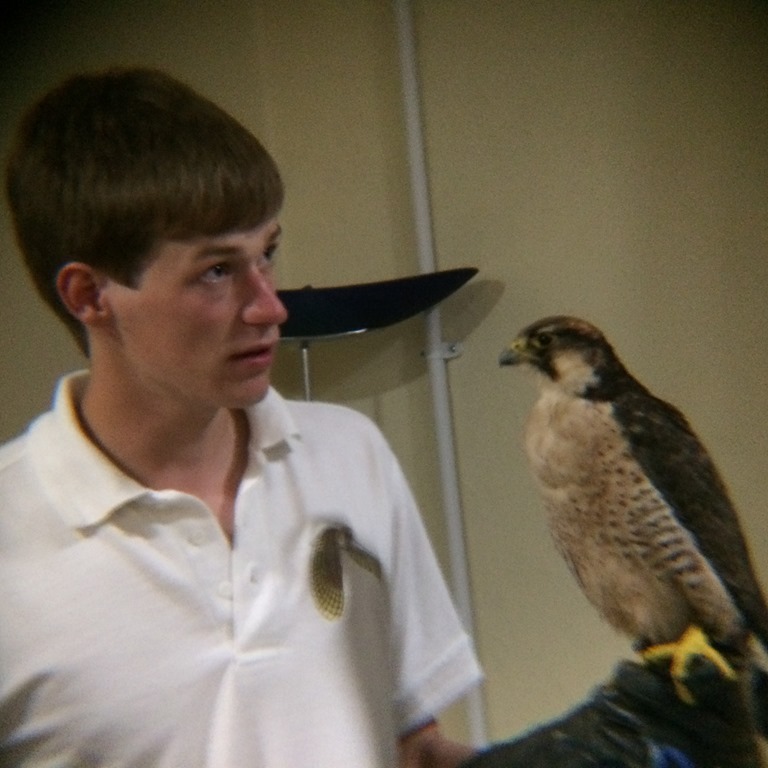 The first bird to be introduced to us was a Hybrid Peregrine Falcon who perched perfectly on Liam’s arm whilst he told us all about her. The interesting thing was that in the wild she would probably only live around 4 years and but in captivity she will probably make 20. 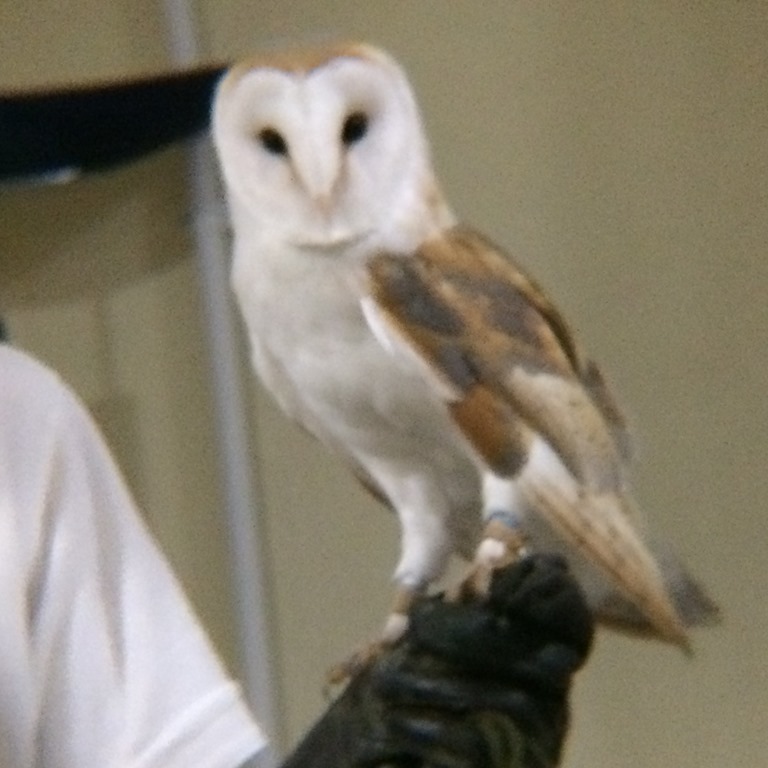 Next up was the beautiful Barn Owl, this was a lovely bird who didn’t sit quite so still for us but nevertheless was very well behaved. 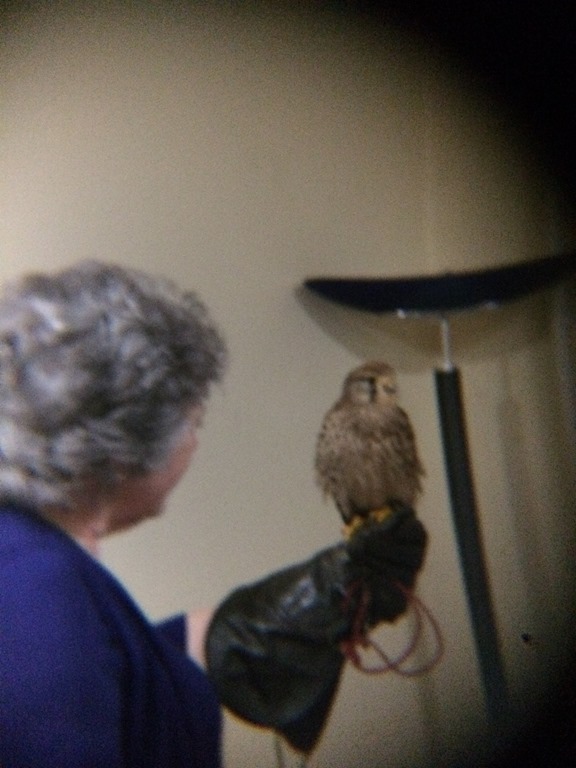 Again this bird was bred in captivity so was also going to have a lovely long life. 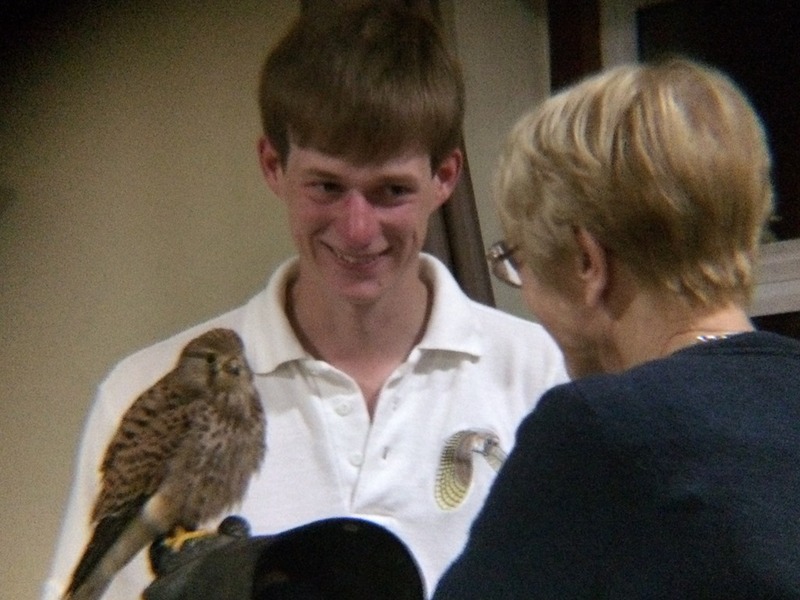 Lastly was a Kestrel, very squawky in the cage but even worse when out and on Liam’s arm. She too was bred in captivity but would possibly not live quite so long as the other two birds. Liam explained that he had recently started up this business with a friend and now had 11 birds in aviaries in the garden. He exercises the birds every day come rain or shine and in my view they are very lucky birds to have come into his care. 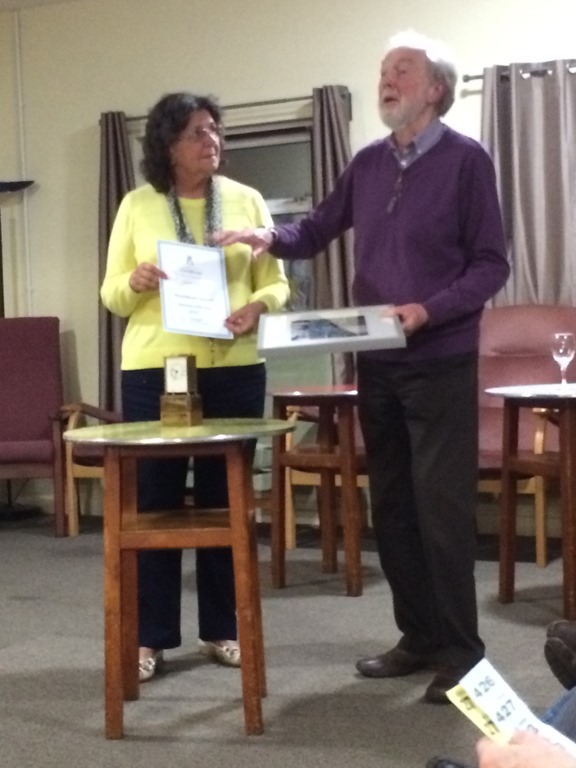 During the evening we had the chance to view all the entries for the Best Picture of the Year and so after plenty of chatting, a little eating and drinking Brian Coppard presented the yearly Clock Trophy to Christine Dobson for the picture ‘A Frayed Knot’. Brilliant picture, well done Christine. For those of you who attended, we hope you enjoyed your evening and for those of you who didn’t come, you missed a really nice evening. We hope to see you all next time. Well what a great weekend we had again this year, the weather was amazing with not a cloud in the sky for both days. 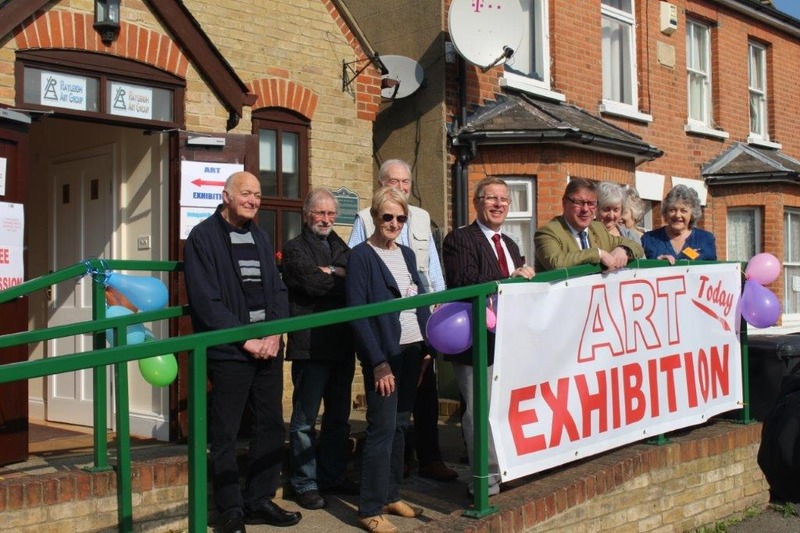 Mark Francois MP who opened our exhibition, was very impressed with paintings on display. After viewing the works and before he enjoyed his coffee and cake, he made a short speech to officially open proceedings. He thanked Brian Coppard, Corinne Scott and the committee for inviting him again this year and remarked and I quote “The standard of work on display this year is as good as last year if not better”. 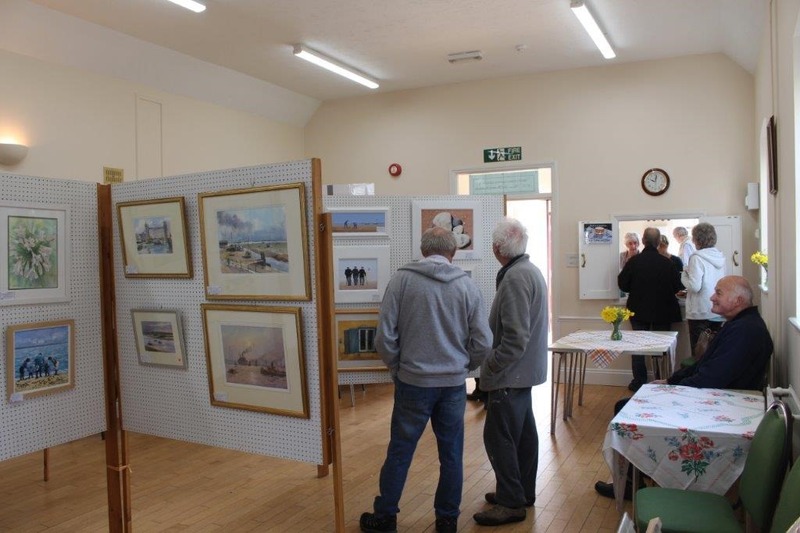 He went on to say that the work that the art group does is very important to the town and it was a pleasure for him to open it. He then wished the group every success for the weekend before finally declaring the event open. 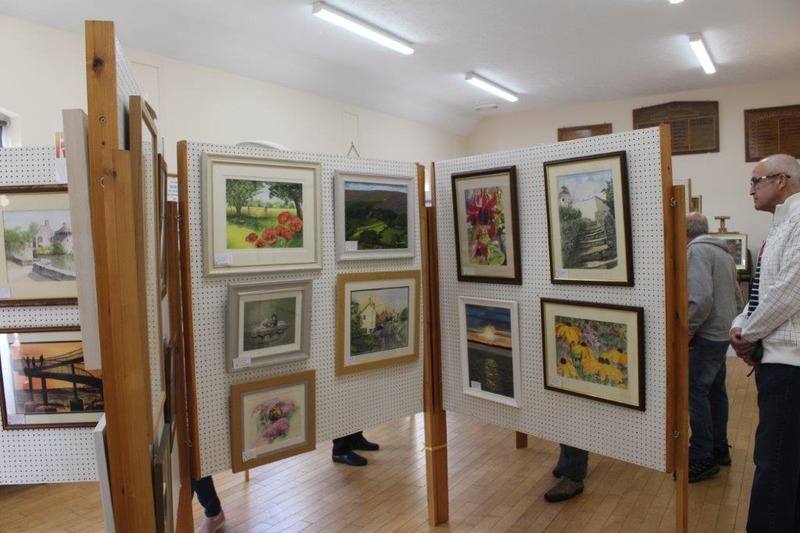 As you will all be aware, each visitor was given a slip of paper on which to vote for their favourite painting, this year again the painting voted best in show by the public will receive the Josie Hook award. Josie who is a young 87, attended the exhibition both days and as usual, bought several small paintings. The Josie Hook award, together with certificates for first second and third will be presented at this Wednesday’s demonstration, so please be there. The standard of work in our group continues to be high and that is something we can all be proud of, it was certainly noticed by our visitors, as all comments were favourable. 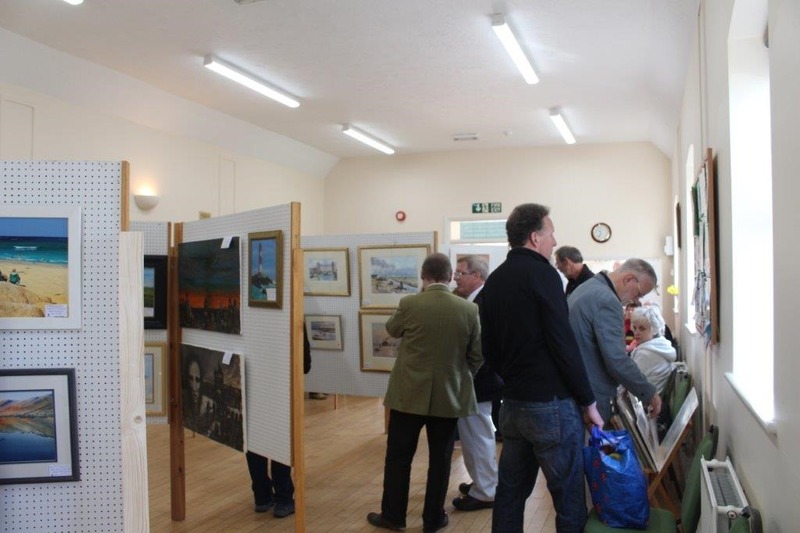 We had over 100 paintings on display with sixteen being sold, not counting the ones bought from the browser. A big thank you to all who worked hard over the weekend to ensure everything went smoothly, from the setting up on the Friday evening, to manning the kitchen, to the ladies for supplying the delicious homemade cakes, selling the raffle tickets, collecting the money for the paintings, talking to the public and finally dismantling it all on the Sunday evening. Thank you, Annabelle, for housing all the equipment. 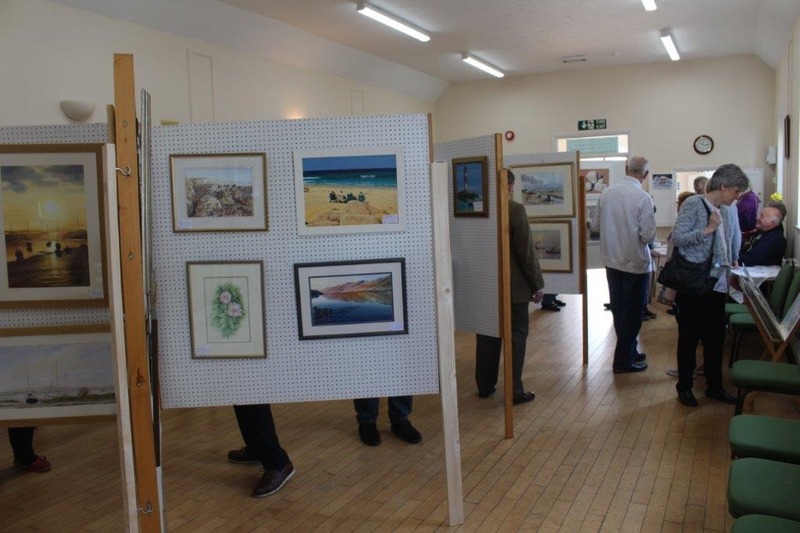 We also must thank all those who exhibited their work, without them we would not have an exhibition. If you didn’t exhibit this year, try and make sure you put something in next year, you will find it very rewarding. 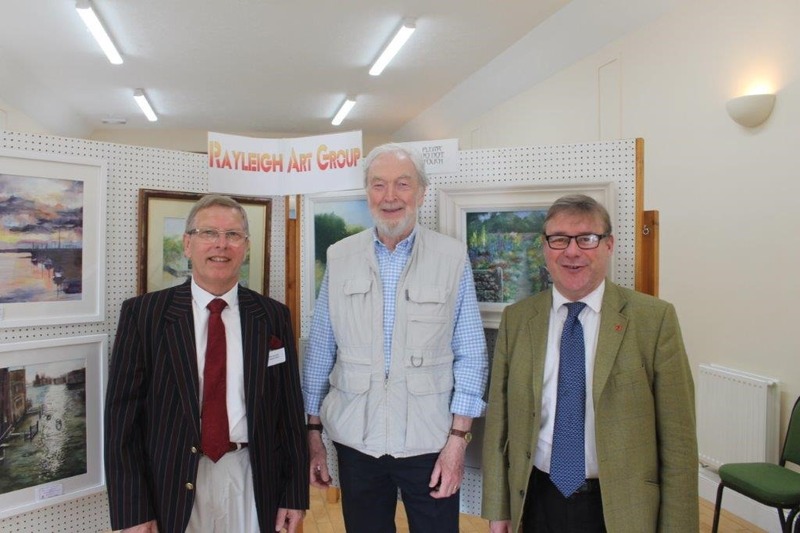 A special thank you must go to A R Adams Ltd, funeral director of Rayleigh, for again sponsoring our exhibition. Unfortunately, because of a prior commitment they were not able to attend this year’s event. And lastly, but not least, we must thank the SAA (Society for All Artists) providing the winners mug and the certificates for the prize winners. Sky Arts looking for artists to take part in the ‘Portrait Artist of the Year’ and ‘Landscape Artist of the Year’. This looks an exciting opportunity which we hope you will pass on to your members. Thank you for your time and if you know of any artists or art groups who might interested in applying to the competition, please feel free to pass on the website details included or follow/like/share the social media posts about the competition being open (links below). 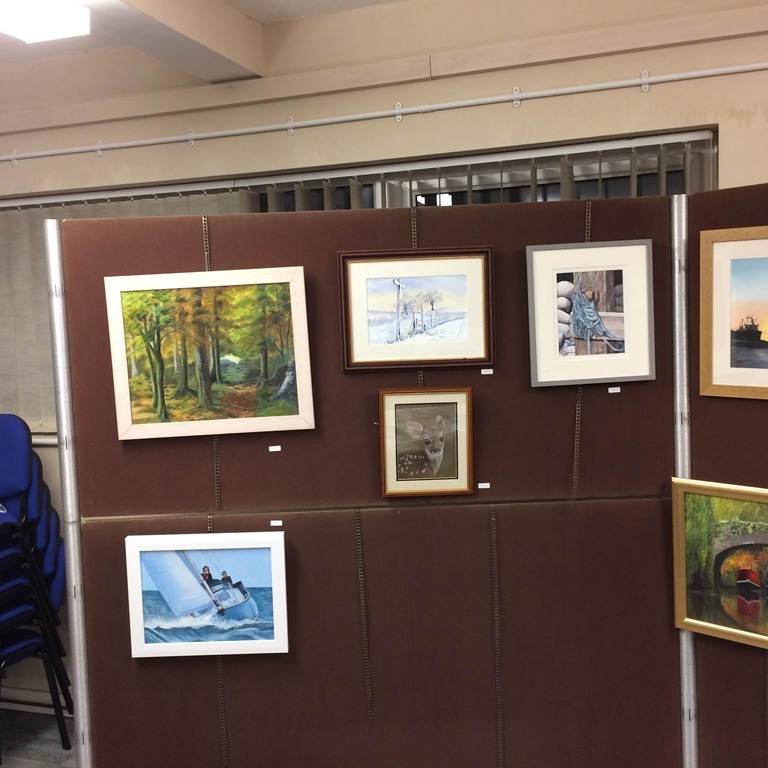 Can you believe that the year has almost come to an end once again and here we are celebrating with all our friends at the Rayleigh Art Group’s Christmas Party. supported and we had 18 pictures with at least 12 of those each receiving one vote. Something that has never happened before occurred though, four of the paintings each got 4 votes and so in the end those 4 names were put into an envelope and just one was picked out. Val Belverstone won, well done Val. As always, Annabel supplied us with a couple of table quizzes which we all attempted to complete throughout the evening whilst charging our glasses with juice or wine and sampling all the lovely food that had been brought in by everyone. These are always challenging to say the least but great fun and get people chatting. This year we decided to play a party game and so we set up a Beetle Drive, many people said they had no idea how to play and just a few said that they had not played this game for many years, probably as children even. Well the hall went from a normal chatter level to laughter, chatter and the decibels went up much higher, just as though everyone was having a really good time. The dice seemed to jump from the tables to the floor many times and eventually we called time on the game after 4 rounds as our time was slipping away rapidly. The winner was Colin Mossman and the least amount of points were from Margaret Gould, both of these received a voucher for a facial compliments of one of our new members. Thank you for the vouchers and thank you all for joining in the game and making a fun evening. We wish you all a very Merry Christmas and a Happy and Healthy New Year from all your Committee.